Urban Innovation Challenge: Have You Submitted Your Idea Yet? In what should be seen as a golden opportunity for all those who understand Delhi well and have always had ideas and solutions for making the city better, the Delhi Government has collaborated with the University of Chicago and is now accepting path-breaking ideas for making Delhi better. 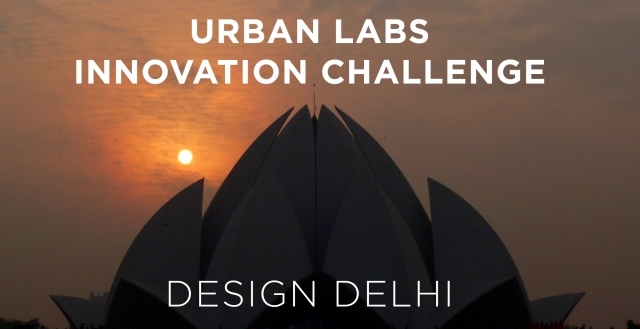 In a first-of-a-kind partnership, the University of Chicago and the Delhi Government have come together and launched a unique competition: The Urban Labs Innovation Challenge: Delhi. This Innovation Challenge is crowdsourcing the best local ideas to improve Delhi’s air and water quality, and meet Delhi’s future energy needs.. The winners will receive up to Rs. 2 crore to work with the University of Chicago and Delhi Government to pilot and test their idea. If successful, the government could implement the program at a large scale, providing an important model for other cities to follow. Organizations, agencies, groups, students, researchers, and practitioners across India with promising programs or interventions aimed at solving Delhi’s urgent energy and environmental problems are encouraged to apply. Reduce disruptive climate change or help better adaptation to climate change. Those interested in applying should submit Letters of Interest by March 15, 2016. Possible partners and assistance needed from the Delhi Government, if applicable. Applicants will be notified via email and letter on April 29, 2016 about whether they have been selected to submit a full proposal. Click here for further information and to read detailed instructions on how to apply. Thank you. Appreciating your sharing it.